Todays blog post shows how to set up a build configuration on a JetBrains TeamCity 9.1 server that creates and publishes a NuGet package of a C#/.NET-Project. 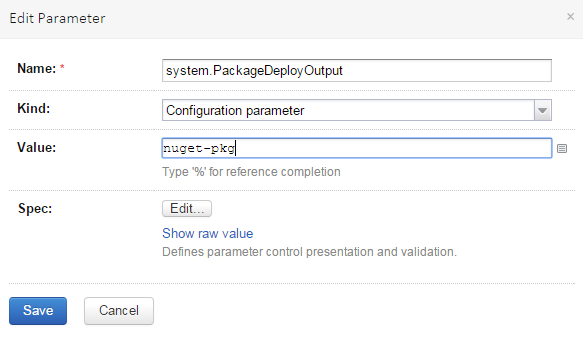 The build configuration will be responsible to create (pack) a NuGet-package out of the specified dll files and publish it to NuGet.org. To show the build configuraiton the project biz.dfch.CS.System.Utilities is used as a sample, which is available on GitHub. 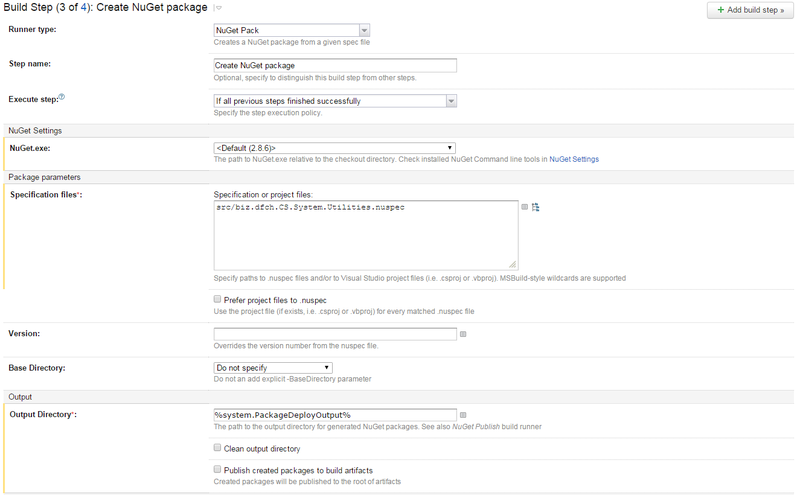 For the installation of the NuGet packages only the solution file has to be referenced. Reference the solution file and select the correct VisualStudio version. In Specification files text field specify the path to the projects .nuspec file (For an example of a .nuspec-file see here). Then the output directory has to defined. In our case it refers to a system variable because it will be used in the next step as well. Its value will be set later. As you can see the system variable will be used to refer the .nupkg file(s) that have to be uploaded. 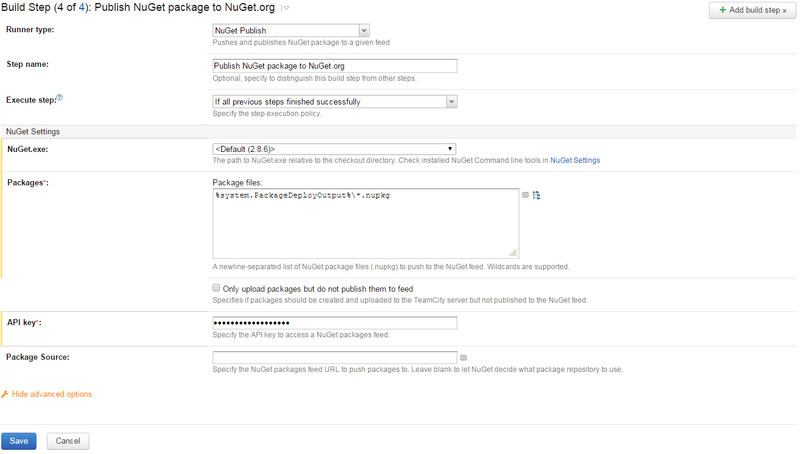 To upload the package file(s) to NuGet.org an API-Key has to entered. The API-Key can be created in your NuGet.org account. 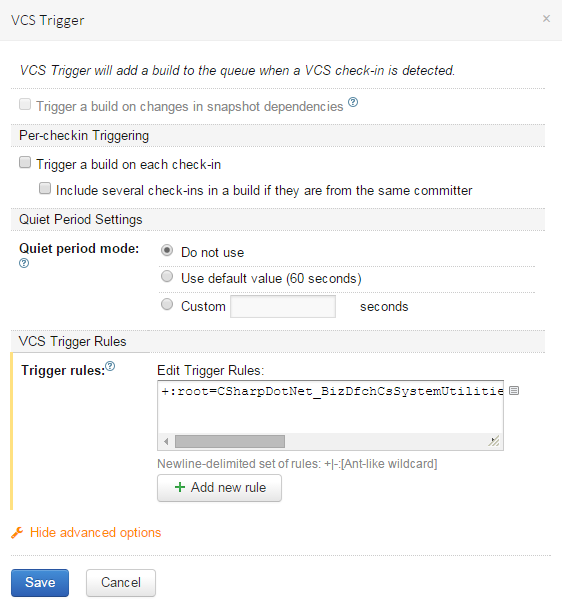 Trigger rule: +:root=VCSRootId;comment=Merge branch 'release.\d.\d.\d. :** (Replace the VCSRootId with the Id of the VCS root that belongs to the build configuration). This trigger rule will trigger the build every time the release branch gets merged into the master during the finish release of GitFlow. IMPORTANT: Before finishing the release with GitFlow, adjust the version and the release notes in the .nuspec file and push the changes! 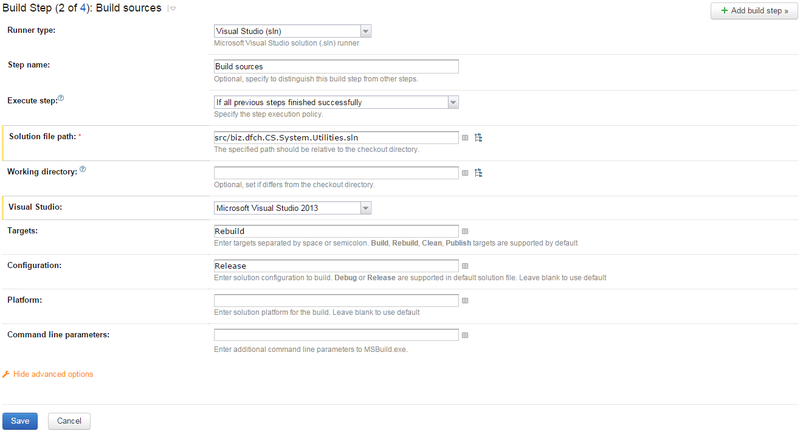 Now the build configuration is ready to run. [push] Failed to process request. 'The specified API key is invalid or does not have permission to access the specified package.'. This message appears in the build log, if the package already exists on the NuGet repository. Check, if the id and the version in the projects nuspec file are correct and that they not conflict with an existing NuGet package. If the build fails with this error message add /p:VisualStudioVersion=10.0 to the Command Line Parameters of the step, that builds the sources.